The Original Kayak Sun Protection Device. You wouldn’t Kayak without a paddle, Why do it without the Shady-yak? 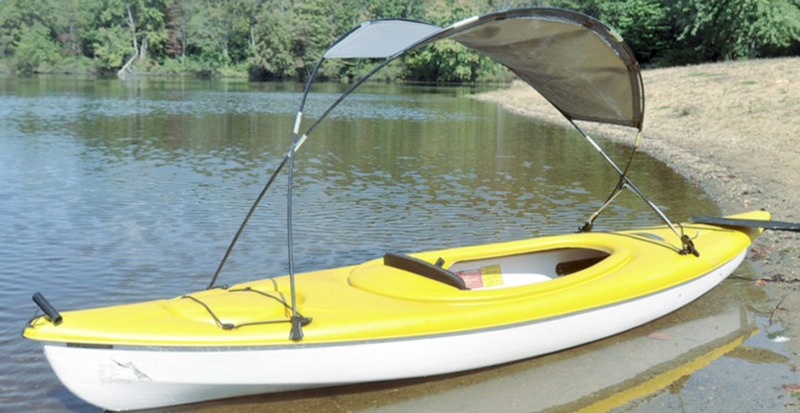 The Shady-yak is simply the best kayak sun shade available. Spend more time doing what you love in comfort as the Shady-yak Detracts UV Rays and Rain. With the Increased Visibility the Shady-yak gives, You can Relax and Kayak with Ease. Easy to install and take down. The Shady-yak Folds up quickly to store in Kayak when not in use.